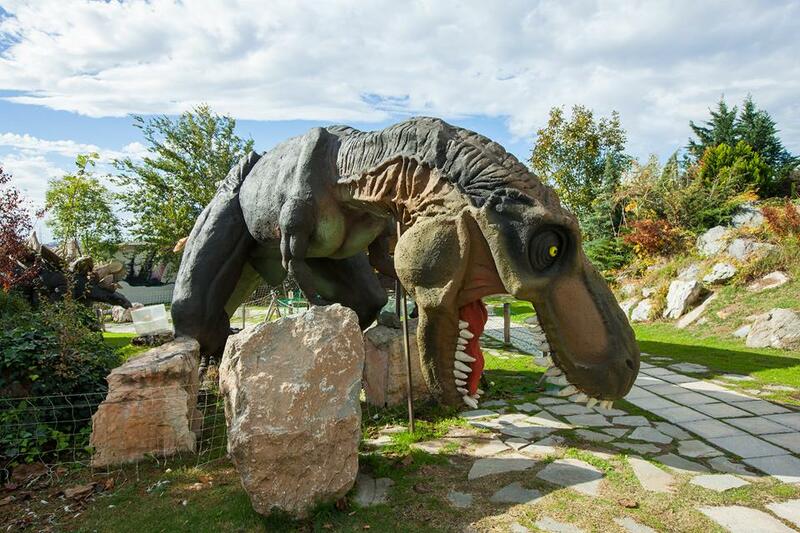 It is the largest dinosaur exhibition in Europe in natural size (animated and static restorations). Multiple different species are represented in a natural landscape with a lake and waterfalls in an area of ​​4 acres. The cave is a very impressive artificial cave, where children explore the interior, watch the stalactites and stalagmites and learn about the evolution of human species. During the tour, children wear helmets, like genuine spelaeologists and get information on how to make an excavation. Mammoth Museum.The Mammoth Museum contains, for the first time in Greece, genuine fossils from woolly mammoths and other animals of ice age. The same area hosts collections of rare rocks and marine fossils from the Sahara desert as also a genuine hairs from the woolly mammoth. 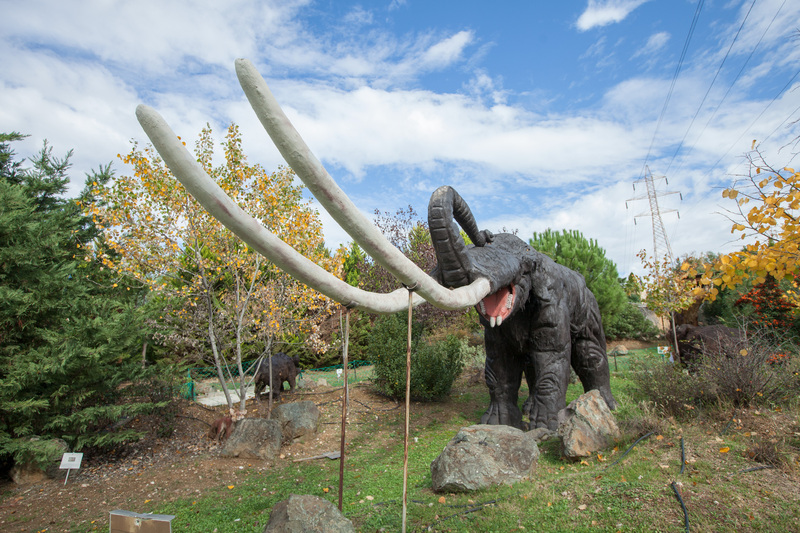 The park includes modern as also extinct mammals that once inhabited Greece, all restorations in natural size. 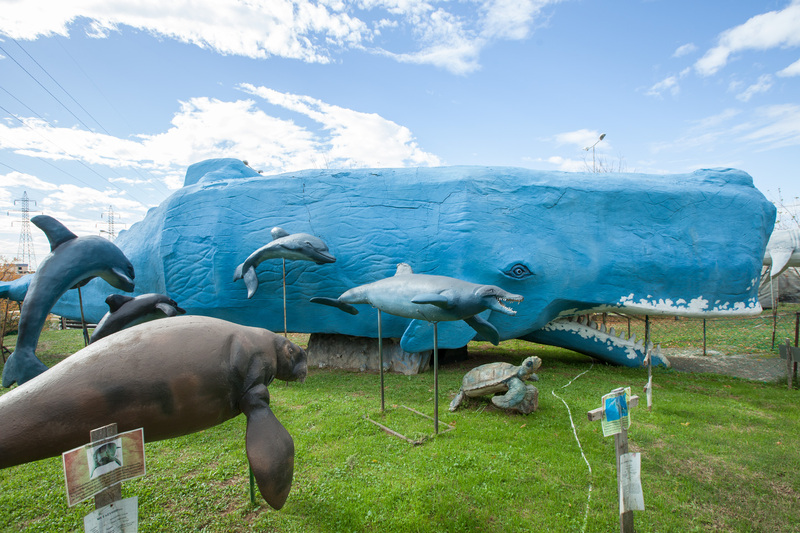 Visitors will feel the unique experience of getting inside the belly of a whale. Among exhibits is the significant discovery of the paleontologist Mrs Evangelia Tsoukala, the tusks of the mastodont of Milia, the largest that have ever been discovered on Earth. The museum is the most complete exhibition of its kind in Greece and visitors can take information and learn about the evolution of games and toys from the Ancient Greek era to modern times. Inside the laboratory of the museum, visitors can construct some of these toys with totally recyclable material. Museum contains the unit of Ancient Greece, the Byzantine era unit and the modern times unit, as also the laboratory of toys construction. The exhibition is curated by teacher Mr. G.Tsionas . Is this theme park (nutrition program), in an area of ​​5 acres, we highlight the ways of preparing the Greek-Mediterranean diet with all the goods and elements of ancient Greek nutrition, the professions, rooms and other activities of a typical farm. Next to it, there is the Greenhouse, containing seasonal vegetables and the herbs of Hippocrates. The program is under the auspices of the ‘Central Macedonia region’ and is curated by the nutritionist Mrs A. Batsila. This Thematic Park is based on the research of the world renowned History scientist Adrienne Mayor. Adrienne Mayor is Professor at the University of Stanford, USA and is specialized in World Mythology and its implications from fossils finds and Palaeontology. Recent research has shown that several of the Monsters of Mythology like the Cyclops and the Griffin, can be reliably attributed to fossil remains of Elephants or Mammoth and the dinosaur Protoceratops respectively. 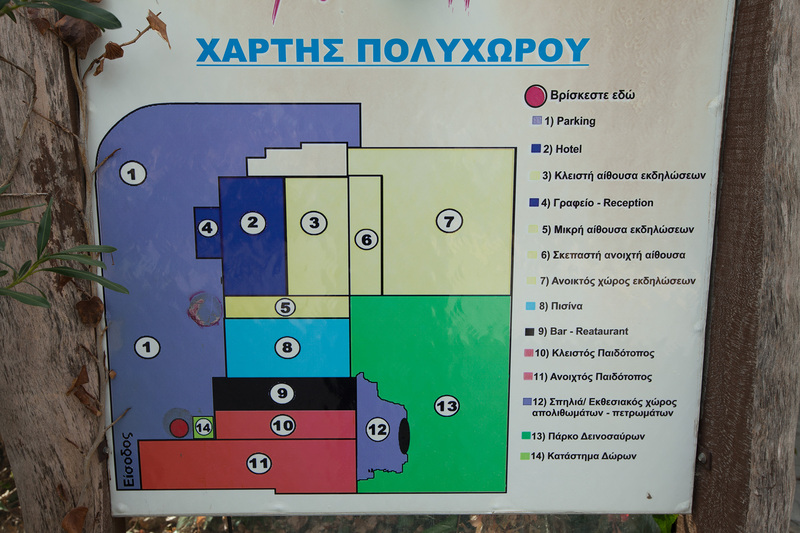 The Thematic Park has a structure that represents the Labyrinth of the Minotaur where guests will know and will get information on the major forms of Greek and world mythology. We are very glad to have Adrienne Mayor as a Scientific Consultant of the whole project.